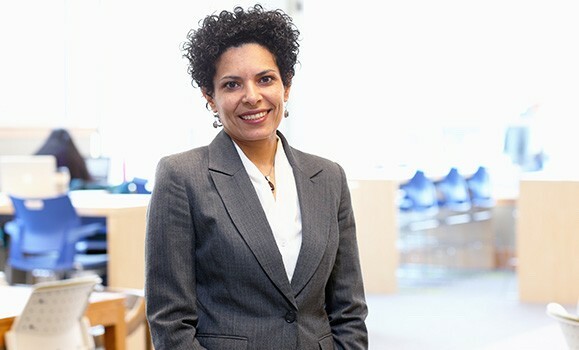 Dalhousie vice-provost Arig al Shaibah writes that "to reference or challenge 'white fragility' would not, in and of itself, be an issue" under the university's Code of Student Conduct. Adding to whatever homework they received in classes today, Monday afternoon Dal students were emailed a 900-word memo about white fragility and the Code of Student Conduct. The email came from the university's vice-provost for student affairs, Arig al Shaibah, who just a week ago sent a similar note responding to the homecoming street party. 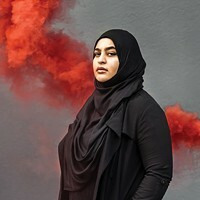 But unlike that one, which dealt with a situation involving hundreds of drunken students behaving badly, today's memo centres on a small handful of students, including Masuma Khan. Al Shaibah doesn't explicitly name Khan, instead referring to a confidential university Senate Discipline Process involving the vice-president academic and external of the Dalhousie Student Union. Going public is something al Shaibah does "reluctantly" and after clearing it with people involved in the complaint, because the process "has generated speculation and inaccuracies that require clarification." Funny how that happens when a racially charged issue about the line between free speech and harassment becomes the subject of national news and a letter from supportive faculty. Full text of al Shaibah's note follows. Last week I made a statement to provide some general information about Code of Student Conduct processes and the principles and values that underpin whether and how the Code applies. Today I want to provide additional specifics because there has been some sharing of confidential information which, placed out of context, has generated speculation and inaccuracies that require clarification. I do so reluctantly because the Senate Discipline Committee process is a confidential one, creating a safe place for all participants in the process, including witnesses, to explore the matter at hand. I have communicated to the complainant and the other witnesses about the information I am about to share. There has been no finding made in this case involving a student allegation against the Vice-President Academic & External of the Dalhousie Student Union (VPAE DSU). The case is following due process under the Code of Student Conduct. After I determined there was enough evidence for the case to be further considered, informal resolution was offered and was declined by the VPAE DSU. As such, the matter now is set to be considered by the Senate Discipline Committee. The matter is moving forward based on the section of the Code related to “unwelcome or persistent conduct that the student knows, or ought to reasonably know, would cause another person to feel demeaned, intimidated or harassed.” It is not moving forward based on the discrimination section of the Code, as has been incorrectly suggested. Our faculty have raised concerns about political speech. This is an important value, particularly for universities, and we hope the Senate Discipline Committee takes Charter values into account in their consideration. Allow me to elaborate on this process. Furthermore, “white fragility,” as a theoretical concept, is not new to me as an educator. For a student to reference or challenge “white fragility” would not, in and of itself, be an issue under the Code. When allegations of this nature are received by the Vice-Provost Student Affairs office, they are reviewed to determine if there is sufficient evidence to proceed to the next step. This is not a decision as to whether a violation did occur. Only the Senate Discipline Committee can make that decision. In this particular case, there was enough evidence for me to determine that this should be examined under section C1.f of the Code. As the VPAE DSU did not agree to explore resolution of the matter through informal means, it is now left to the Senate Discipline Committee (SDC) to weigh the evidence of all students participating and determine whether a violation of the relevant section of the Code occurred. As part of this process, it is open to the Senate Discipline Committee to consider Charter values, of which freedom of expression is one. A panel of peers and academics will determine the merits of the case brought before them, which is a healthy approach in that the decision doesn’t lay in the hands of one administrator. If there is a finding that a violation occurred, it has been made clear to the SDC and all participants that my recommendation is for non-punitive educational/learning opportunities — suspension or expulsion were never placed on the table by me. In this case, several students of multiple intersecting identities (along the continuum of privilege) had approached me about feeling disrespected, demeaned, and invalidated as a consequence of the language and tenor of the post in question authored by VPAE DSU. The VPAE role and position of power as a student leader was particularly salient as they spoke about their expectations of their student leader and the impact on their real or perceived ability to participate in campus programs and activities, including debate. We are a diverse community with a large international population — all leaders (regardless of their social identities) on campus set the tone for a sense of inclusion by all. 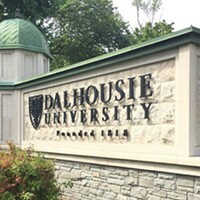 As we move forward in addressing this particular Code complaint, as well as the broader related issues of respect and inclusion, Dalhousie will continue to do so following fair and just process, guided by core values of equal dignity of all persons, freedom of expression and inquiry, intellectual integrity and respectful relationships. 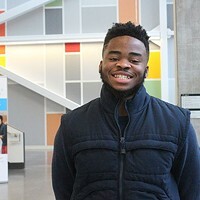 As part of our Diversity & Inclusiveness Strategy, ongoing education, skill-building, critical dialogue, policy enhancement and coalition building must be undertaken so that we, as a community, are better equipped to truly create a culture of respect and inclusion that is also free of harassment, discrimination and violence on campus.